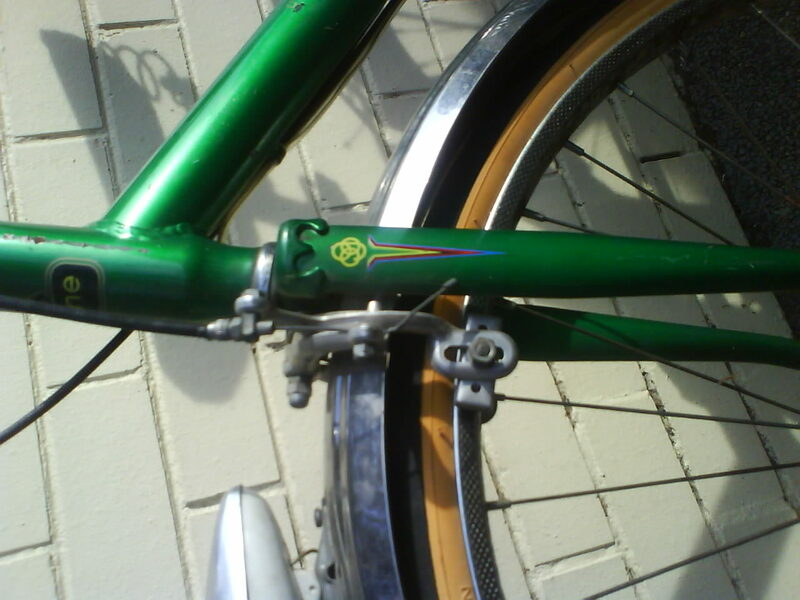 This is the bike that started it all. It’s my weekend cruiser . Even though it has five gears (unusual for a little bike I think) it’s a bit too hard work for the daily commute, I just ride it round the hood. It’s very relaxing to ride at a leisurely pace, just a bit more effort than walking. During the week it lives folded up in the laundry, so neat and tidy. 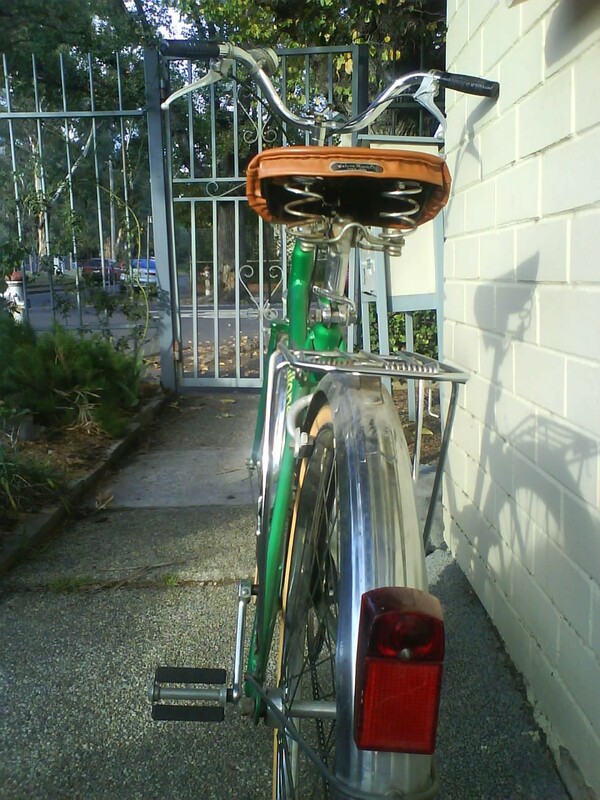 Had to replace the original white wall tyres because they were so old I got a puncture every time I took it for a spin. The best I could get was these wheel chair tyres. It has some lovely details, such as this little scroll on the fork. And one of the best bits is the dynamo light set mounted on the mud guards; the front glass is missing but they still work. 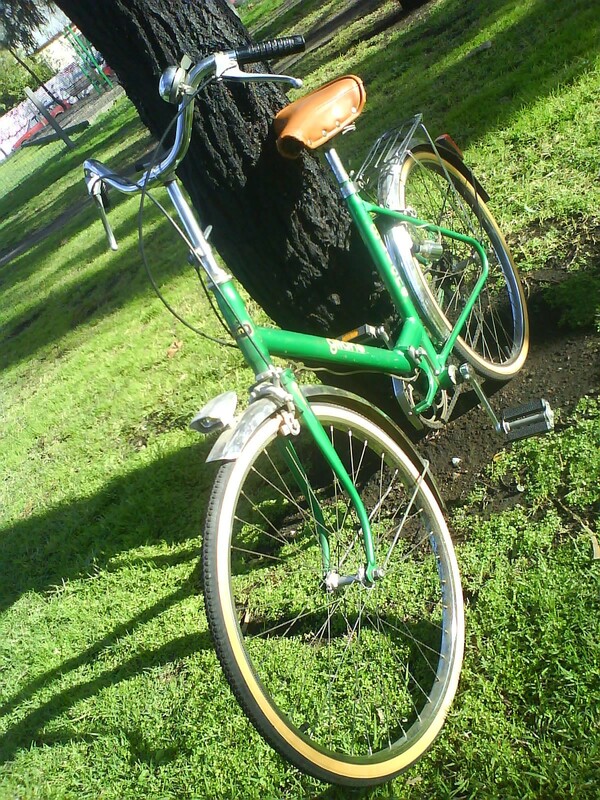 PS – love yours (blog and bike) BTW! PPS – I’m in Melb too! Just had an enjoyable stroll through feel of steel – you have the bug big time – will pop a link on my blogroll. Loved seeing the close up bits of the Gitane (that sounds a bit wrong) and looking forward to the fixing up of the DIVINELY purple stowaway.